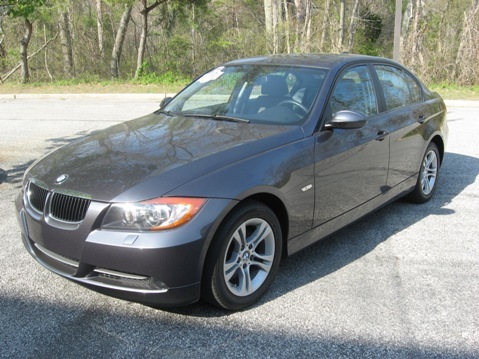 Pumpkin Fine Cars is featuring today a GORGEOUS 2008 BMW 328xi that is SO MUCH FUN TO DRIVE!! 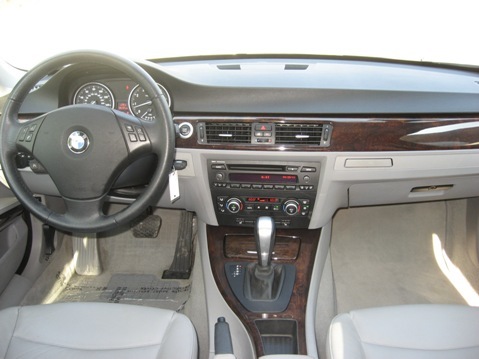 Its a BEAUTIFUL Graphite Metallic Exterior on Gray Leather Interior with an Elegant Wood Trim. A ONE OWNER CARFAX CERTIFIED vehicle with a PERFECT TITLE HISTORY! Equipped with a modest 6 cyl, 3.0 liter engine, Automatic transmission and ALL WHEEL DRIVE. Not only has this pre-owned 3-series been FULLY SERVICED and PUMPKIN CERTIFIED, but its CURRENTLY UNDER A FACTORY WARRANTY Till Nov. 2011!!! Loaded down with LUXURY FEATURES including a PREMIUM PACKAGE with Power/HEATED SEATS, Memory Positioning & Lumbar Adjustment Support, Full Power Options including Power Mirrors, PREMIUM SOUND SYSTEM with MP3/CD Player, Keyless Push Button Start, Xenon Headlights, Alloy Wheels and more! With JUST OVER 44k MILES, this BETTER THAN NEW BMW can be yours for THOUSANDS BELOW BOOK at ONLY $22,995. Visit us and test drive this pristine car today. CONTACT US at (609) 646-7676 or send us an email at [email protected]. To view a complete listing of our pre-owned vehicles, log onto our website at http://www.pumpkincars.com/. NEED FINANCING??? We have that too! A preliminary credit application can be filled out online by choosing the Financing tab on our website. HURRY IN, this 08 BMW 328xi WON'T LAST LONG!